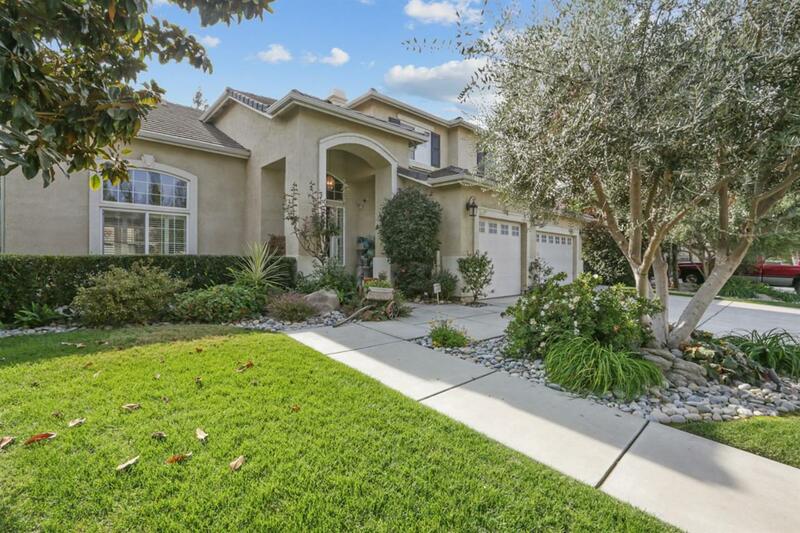 Absolutely beautiful home now available in desirable Marseille in NW Visalia! Impressive curb appeal with mature trees and landscaping adorn this magnificent find. With nearly 3,200 square feet of efficiently designed living space, you will enjoy all that this home has to offer. The kitchen is the heart of this gorgeous home with ample cabinetry, a large breakfast bar and a fitting center island. The adorable nook area provides gorgeous views of the backyard and is the perfect place to gather for casual family meals. You will also find additional living and dining areas and 5 very spacious bedrooms with one bedroom conveniently located on the main floor. The grand master suite is huge and includes a luxurious master bath with a large soaking tub and an oversized walk-in closet. Relish in your private backyard oasis with an abundance of mature trees, breathtaking landscaping, a sparkling pool and outdoor kitchen. This home is truly amazing! Call for your private showing today! Listing provided courtesy of Erik Anderson of Anderson Real Estate Group.